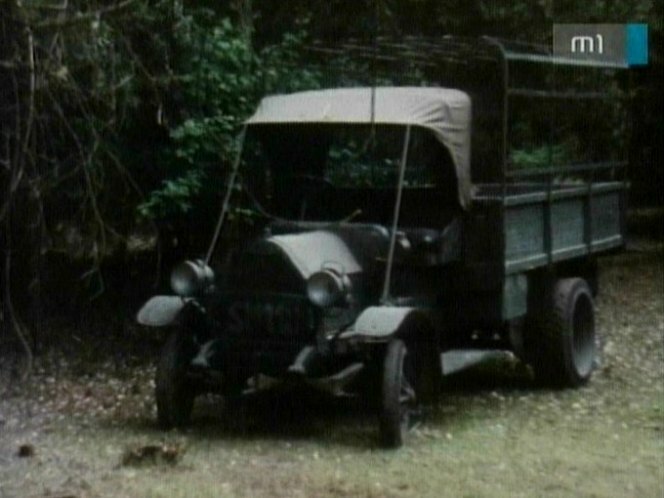 IMCDb.org: Fiat 18 BL in "T.I.R., 1984-1985"
Not a Ford. I think it's a Fiat. Not a 15ter but the bigger 18bl. Distinguishing features are the tall bonnet and the solid tyres.